Berlin startup Aupeo turns your iPad into a personal radio station with a beautiful, lightweight and amazingly fast new app. For very good reasons, music streaming services have become extremely popular. While you for sure know about Spotify, last.fm and Pandora, chances are, you haven’t heard about Aupeo yet. This is despite the fact that the company’s music discovery services come preinstalled on more than 25 million devices, amongst them Sonos popular wireless home entertainment products. 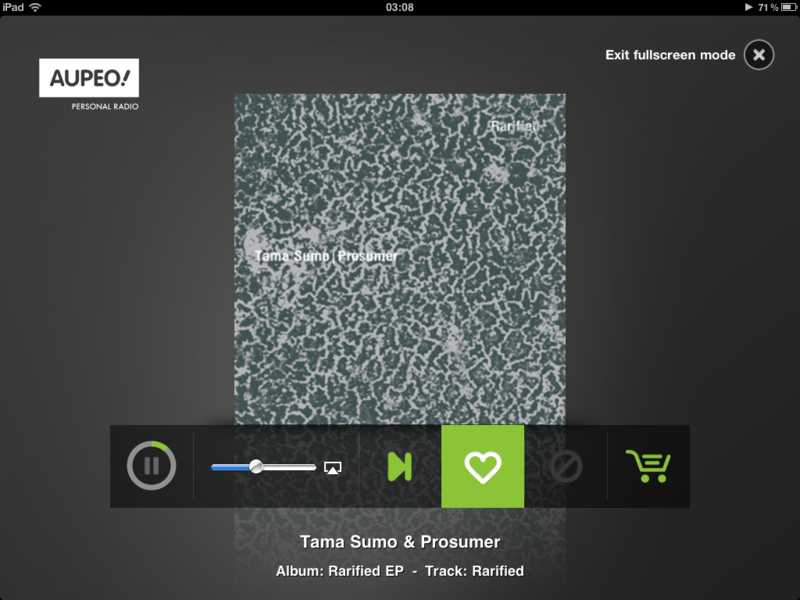 Aupeo’s catalog comprises more than 900.000 titles, similar to what Pandora offers. Based on algorithms developed at the renowned Fraunhofer Institute, inventors of the MP3 format, Aupeo constantly learns about your music habits and makes discovering new tunes a fantastic experience. For those frustrated by the limited geographical reach of apps like Pandora, Rdio and Spotify, Aupeo’s service is already available in over 40 countries across the globe. 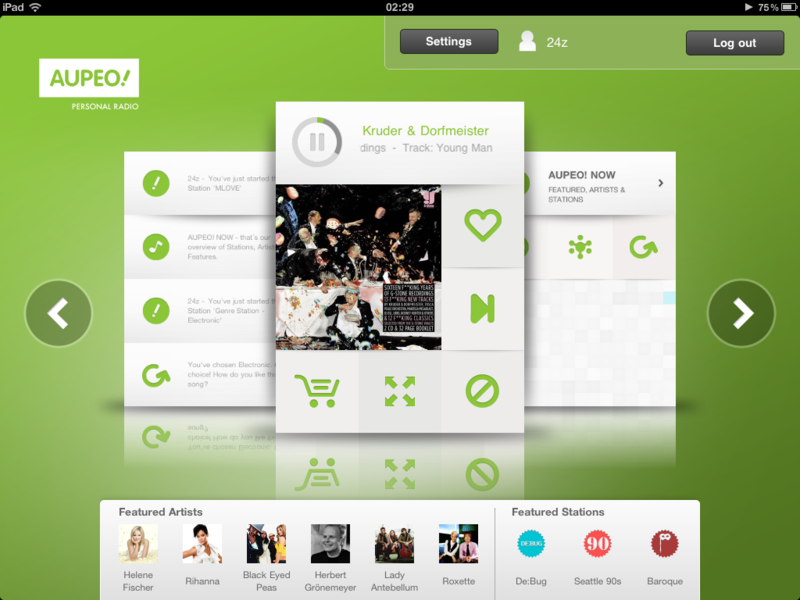 The Aupeo iPad app truly turns your tablet into a great personal radio station. It by far is the most intuitive and easy way to discover new music on an iPad. Through an extremely smooth user interface with high quality animations everywhere, you pick your genre, fine tune via the so-called ‘mood tuner’, and Aupeo starts building your ‘music DNA’. The app is fully integrated into the iPad’s music player controls and seamlessly continues to stream your favorite music while it’s running in the background. I soon found myself listening to it all the time, whether I was reading books with the Kindle app, surfing the web or responding to email. So far, the issue with infinite music access à la Spotify has always been the lack of discovery. Aupeo solves it in the most elegant way we’ve yet seen on an iPad. Besides the algorithm driven compilation, users can also pick from hundreds of music stations, curated by DJs worldwide or simply pick their favorite artists. 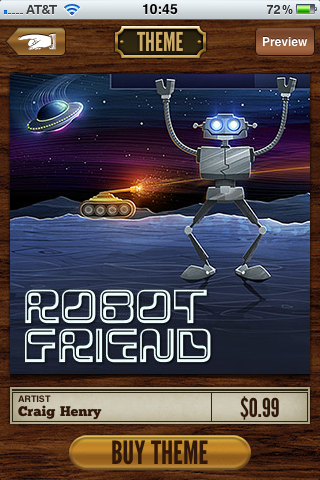 Aupeo is a free download from the App Store, supported by ads. The company also offers a premium subscription for US$ 4.95 per month.